When you see the spectacular homes in Rhode Island, you may wish you could poke around in their attics! The next best thing? Shopping for antiques and other cool vintage finds at Rhode Island flea markets. Whether you're in Rhode Island's capital city, Providence, or visiting the Rhode Island shore, here's your guide to seasonal and year-round flea markets to explore. This popular downtown Providence flea market is now a year-round experience, and if you're into vintage, this is the flea market for you. Open outdoors every Sunday from 10 a.m. to 4 p.m. from June through October, the market moves indoors for the first three Sundays in December (think holiday shopping!) and operates the second and fourth Sundays of each month through the winter and spring. Some folks go just for the food trucks during the warm weather months. This indoor/outdoor flea market in Rhode Island's capital city is open Saturdays and Sundays from 9 a.m. to 5 p.m. all year. It's the longest-running flea market in the state and a destination for deal hunters. 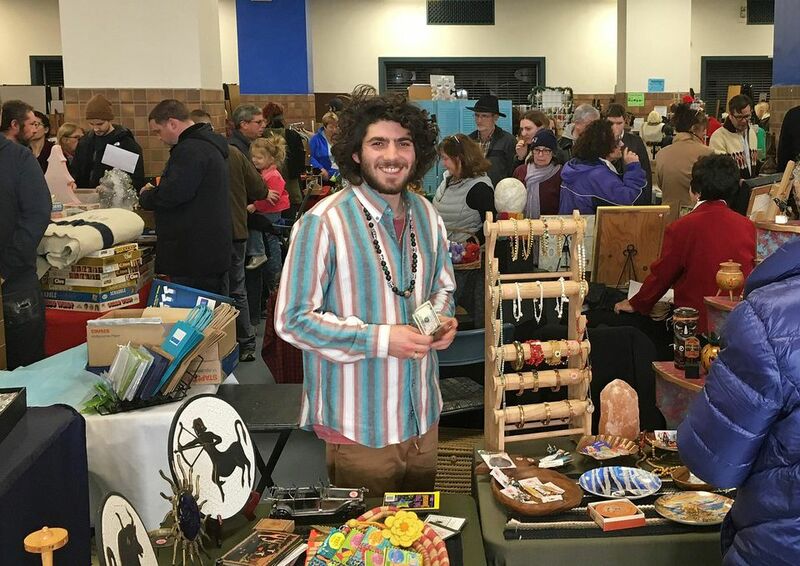 It's a permanent indoor flea market with 100+ vendor spaces and live auctions, too. With food available on-site, you can shop for eclectic merchandise all day. Hours are 9 a.m. to 5 p.m. on Saturdays and Sundays. Rhode Island's largest outdoor flea market offers dealer spaces for just $20, and with room for more than 500 vendors, you can be sure the variety of merchandise will be astounding. Hunt for treasures on Sundays from 6 a.m. until 3 p.m. from mid-April to November, weather permitting. Admission for browsers is free. This outdoor flea market is open from 8 a.m. until 3:30 p.m. weekends and Monday holidays in the summer months and features about 100 dealers. It is one of the oldest flea markets in Rhode Island, in operation for more than 50 years. Admission is free, but there is a $2 parking fee on Sundays. This flea market features about 50 dealers and operates Saturdays, Sundays and Monday holidays from 8 a.m. to 3 p.m. Admission and parking are free. Special Note: It is always a good idea to call ahead to verify that a flea market is in operation before making a special trip. Flea markets may close due to inclement weather or other factors.